It’s not a suburb, but a borough. Not an extension, but a separate township, at least spiritually. Although Dallas annexed Oak Cliff in 1903, the 87-square-mile area southwest of downtown has maintained its own identity. If Dallas is the packed dance floor under a disco ball, then Oak Cliff is the mysterious couple at the dark end of the bar playing footsie. 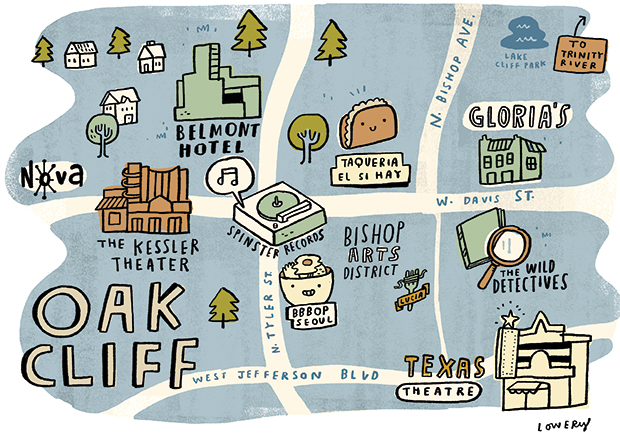 Oak Cliff is southwest of downtown Dallas. Visitor info is available from the Dallas CVB, the Bishop Arts District Merchant Association, and the Oak Cliff Chamber of Commerce. Framed by beautiful rolling hills, Oak Cliff celebrates independence, diversity, and creativity. It’s Berkeley without the big college, Brooklyn sans subway. Just a 10-minute drive from downtown Dallas, Oak Cliff offers a convenient day trip for residents of the Dallas-Fort Worth area. But Oak Cliff has also been drawing visitors from all over the state in recent years. They drive for hours to see musicians Michael Nesmith or St. Vincent in the intimately restored, art deco Kessler Theater. Or, they visit to catch a comedy revue or offbeat film at the notorious Texas Theatre, now known more for its adventurous arts programming than as the site of JFK assassin Lee Harvey Oswald’s arrest. It used to be that folks only came to the edgy Cliff to visit the Dallas Zoo or to chase Oswald’s ghost, but now the curious are lured by chic eateries, interesting shopping, and craft coffee and cocktail hangouts. Maybe visitors will want to follow in the footsteps of Beyoncé and Jay-Z to upscale coastal Mexican restaurant Mesa on West Jefferson Boulevard, where the music moguls ordered lobster enchiladas and chicken mole; try the upscale barbecue of Smoke, with dishes like beer-can chicken and coffee-cured brisket; or brunch on chicken and waffles with coffee or a mimosa at Oddfellows. It’s possible to spend a few days in Oak Cliff without ever going into Dallas proper, whose skyline provides a spectacular view to the north. To paraphrase a lyric from Jimmie Dale Gilmore, have you ever seen Dallas from the pool of the Belmont Hotel? 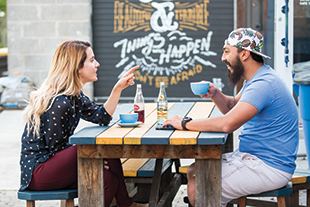 Oak Cliff’s restaurant scene is especially fluent in entrepreneurship. “Oak Cliff is a place where you can test a business concept or buy your first home at very little risk,” adds Paul Wilkes, who owns the Glass Optical eyewear boutique, while his wife, Megan, co-owns Emporium Pies. In just a five-block stretch of West Davis Street, the main drag, your dining options include Cuban sandwiches at C. Señor, Korean fried chicken at bbbop Seoul Kitchen, gourmet flatbreads and steaks at Bolsa, fancy home-cooking at Pink Magnolia, El Salvadoran cuisine at Gloria’s, or the best $1.35 tacos in the world at Taqueria El Si Hay. Go farther west on Davis, just past the Kessler, and you’ll find Nova, a neighborhood restaurant and bar set in an old Dairy Queen building that busts hunger with a chicken-fried pork loin ($18) covered in spicy sausage gravy and served with mashed potatoes. “Where else but Oak Cliff can you find a fine dining restaurant next to a car wash?” Wilkes poses, referencing the dual character of the historic neighborhood. 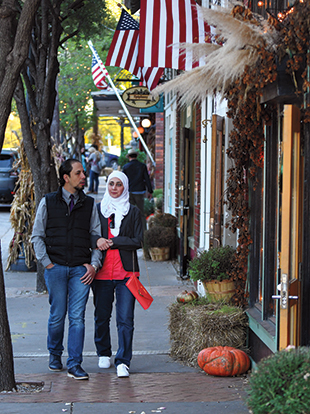 Rare is the trendy area that has so many working-class residents. The gentry have arrived and real estate costs have risen, but the cultural air remains scented with grilled peppers and onions, girded by the rumbling bass lines of hip hop and salsa. Dave Grover of Spinster Records. Oak Cliff likes it funky and original. “If you’re not into the malls and the chain stores, Oak Cliff is for you,” says Grover, who hosts live music at Spinster two to three times per week. Instead of Barnes & Noble, there’s The Wild Detectives, a bookstore that serves food and drinks, shows art films, and hosts live music. And why go to Starbucks when you can get fresh-roasted coffee at Davis Street Espresso, which serves an amazing “house toast” with avocado, tomato, and ricotta? Another Oak Cliff original is the Belmont Hotel, which was the first non-Californian motor court motel west of the Mississippi when it opened in 1946. Restored in 2005, the Belmont is more like Oak Cliff’s Chateau Marmont because like that Hollywood hotel, the Belmont is a place to start the night. Bar Belmont, off the lobby and outside, overlooks the sparkling promises of a city in wait. The 2012 opening of the soaring Margaret Hunt Hill Bridge, whose span resembles the world’s largest butterfly net, helped spur the Oak Cliff renaissance, providing a new gateway to the area. Running parallel is the Ronald Kirk Bridge (formerly the Continental Bridge), which was built for cars but recently converted into a pedestrian walkway. Hike-and-bike trails continue along the banks of the Trinity. Strolling Bishop Avenue in the Bishop Arts District. If Oak Cliff had a chip on its shoulder for not being on the ritzier side of the Trinity, it’s been whittled by artisans and now sits in a storefront window of a trendy shop on Bishop Avenue. 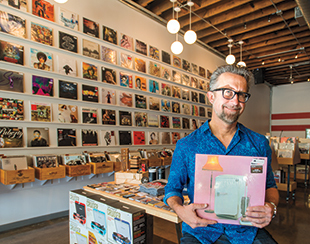 Oak Cliff’s revitalization in the early 2000s originated in the Bishop Arts District, a four-square-block area that’s now home to more than 50 small businesses. The district fills on the weekends with North Dallasites, who come for brunch at classic French bistro Boulevardier or, if they’ve made reservations a month earlier, at the tiny Lucia, regarded by foodies as the best Italian restaurant in North Texas. Eno’s Pizza Tavern and Hunky’s Hamburgers are more casual faves. A friend from Dallas derides Oak Cliff as “the new Disneyland for hipsters,” but Jeff Liles, the longtime Dallas music scenester who has booked the Kessler since its 2010 rebirth, says the Cliff is “hipster proof.” Yes, there are tourists, many of whom have beards and every Bon Iver record, but Liles argues that the neighborhood maintains “a large ethnic influence that inspires its creative class.” Grover notes the high stroller count and says, “Our hipsters have kids. It’s an older crowd.” You turn in your hipster card the first time you buy diapers at midnight. Oak Cliff has only recently become hip, but it’s always been cool. These are the old stomping grounds of Bonnie and Clyde, and the home of both the nation’s first drive-in restaurant (Pig Stand in 1921) and convenience store (Tote’m, later renamed 7-11, in 1927). Before he became the first person to play blues on an electric guitar, T-Bone Walker recorded as Oak Cliff T-Bone in 1929, when he was still shining shoes at Stevens Park Golf Course. Two of his disciples, Jimmie and Stevie Ray Vaughan, also grew up in the Cliff, though a couple of decades later. Adamson High, where country legend Ray Price began singing, later spawned “outlaw country” forbearers B.W. Stevenson, Michael Martin Murphey, and Ray Wylie Hubbard. New Bohemians singer Edie Brickell named her 1990 song “Oak Cliff Bra,” after her hometown. Oak Cliff is still a bit like a Tex-Mex Chinatown; nothing would really shock you here. Not even seeing the future Mrs. Paul Simon sitting on the front porch in her bra, watching the world go by. You can be yourself in the Cliff. Maybe that’s what her song is about.